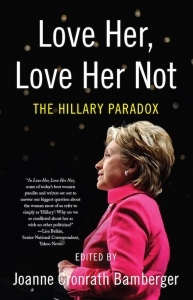 Joanne Cronrath Bamberger is the editor of the new book Love Her, Love Her Not: The Hillary Paradox. 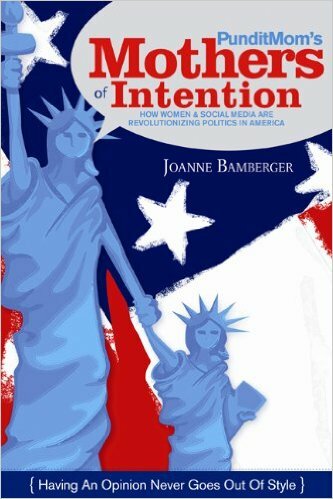 She also has written PunditMom's Mothers of Intention. She is the publisher and editor in chief of the digital magazine The Broad Side, and her work has appeared in a variety of publications, including The Washington Post and USA Today. She lives in the Washington, D.C., area. Q: Why did you decide to compile this book, and how did you pick the authors to include? A: Ever since the 2008 campaign, there have been many news stories, opinion pieces and talking head segments on whether or not Hillary Clinton is "likable" and what impact on her candidacy that had eight years ago. But few of those reports delved into the question of "why" - why was that a problem for Hillary but not other candidates? Was it something voters demanded of her in particular or of women candidates in general? As I started researching that question, I discovered some polling and studies that found that in order for women voters to find women candidates qualified, they also had to find them likable (which was not the case for men). Those, in addition to a variety of academic studies that have been done regarding Hillary Clinton, I wanted to put some meat on the bones of that research and ask women why they had such complicated and convicted feelings about HRC. I knew I wanted to explore this with women writers, so I started making a list of women I knew and knew of who had different views on Clinton (both established and emerging writers) and who came to the project with widely diverse views and backgrounds, and who would write with insight and humor. One of the best things that came out of this project was that I thought I knew what the topics and opinions would be. But because of the diversity of writers, they came to the table with some even more interesting topics and ideas than I had thought of! Q: In the book, you ask, “Why do we play the Hillary love-hate card with such vigor?” How would you answer that, and how did you come up with the book’s title? A: I brainstormed the title with some of the contributors. I knew the title needed to be something that would easily and quickly reflect all of our different views about Clinton, as well as the fact that she, like all of us, she is a person of complexity and of some contradiction - but that also reflected the fact that we have our own contradictions in how we view her. 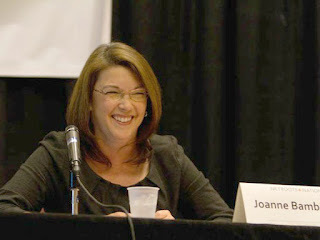 Contributor Jennifer Hall Lee was the brainchild behind the title and it was the one I ultimately believed best represented the book's ideas. I think we play the love-hate card with such vigor because Hillary Clinton is a person who has dared to step out of traditional expectations and has embraced a fully three-dimensional version of herself. It's hard to believe that in 2016, some people still think, "How dare she think she can go from being a First Lady to a senator or president!?" We live in a world where those in politics often become caricatures of themselves, and when they do, observers can usually predict what their positions are. Yet, Clinton has allowed herself to evolve over the course of her political life and voters are quick to judge her for that, even if she is evolving in a way they approve of. But that's not just an issue for Hillary. I think many women in our society face the same scrutiny - they are received positively if they think and act in the way that's expected of them, but if they step out of an already constructed role for them, there is great pushback. For any woman to finally be elected as the first female president of the Untied States, we, as voters, need to be comfortable with a person who dares to step away from the praise women often receive for staying in "traditional" roles. But when that happens, voters' discomfort leads to a push/pull of loving some things and hating others. Q: In your own essay, you write, “We clearly still live in a time when women are criticized and judged more harshly than men based on this expectation of perfection.” Do you see this playing out in the 2016 election, and if so, how? A: Absolutely they are and not in a helpful way to Clinton. Some of the best examples of that are the questions posed to Bernie Sanders at televised town hall meetings vs, the ones Hillary gets. Sanders gets asked more questions about substantive issues that are relatively easy to answer. But for Hillary, there are so many personal questions that are posed to her - about her humility, about her ability to connect, whether people trust her - questions that seem to stem from Republican talking points. Clinton is constantly asked about her changes in positions - which is legitimate - yet Sanders is rarely questioned on that and is taken at face value. For example, Hillary has come under fire for her support in the 1990s of her husband's position on a crime bill that resulted in increased incarcerations, especially among men color. However, Sanders, who actually voted for that bill as a member of Congress, has been given a pass and is seen by many as new hero in the #BlackLivesMatter movement, even though he was shouted down less than a year ago at a political conference for not being connected to the issues of that movement. It comes down to applying different standards to different candidates, rather than using the same standard to judge each one. And if Hillary doesn't meet certain expectations, she is viewed as imperfect, with the implication that she is unqualified. Perfection is a standard that has never been used to judge any male candidates. Q: What do you see looking ahead in the Hillary Clinton-Bernie Sanders nomination battle, and why do you think it’s developed the way it has? A: Things have developed as they are at this point because young voters are inspired by Sanders because his message about income inequality hits a nerve with them - the generation post-Great Recession that hasn't yet lived the experiences of gender discrimination or the fight against that that Hillary represents. I suspect in 10 years, millennial women who support Sanders and today are skeptical about their "moms' " experiences will look back and realize that the fight HRC represents is still there and that we still have not achieved equality on so many different levels. I also believe the media have a significant role to play in terms of how Clinton and Sanders are viewed - Sanders gets portrayed as someone who has never wavered and has a set of ideas he has advocated consistently over time vs. Hillary as someone who is always changing. If the narrative were different - if the media talked more about Sanders inconsistencies or changes over time (which are there) and/or if changes in views were talked about in terms of how position develop and change over time, rather than as flip-flopping, I suspect voters' perceptions would be more nuanced. As we move forward, I hope (though I'm not holding my breath) that journalists will dig a little deeper than talking points and small snapshots in time, and cover the candidates in a way that reflects who they really are - three-dimensional humans who evolve on many things over time rather than 2D caricature-like portrayals of politicians. That would really give us the kind of election year conversation we deserve. But in an era of talking heads, a 24/7 news cycle and "news" programs driven by ratings, I suspect that won't happen. A: The reaction to the book has been generally very positive. When readers realize that LHLHN: The Hillary Paradox isn't a book that's taking sides, but that it's a book that tries to explore the "why" behind our conflicted feelings about Hillary and how we tend to project certain things onto her, many people have said it's a refreshing book that helped them think more deeply about why and how Clinton has become such a paradox. The Amazon and Goodreads reviews have been very positive, and it did get an Amazon designation of #1 Hot New Release! Many of the reviews express what I had hoped the book might accomplish - that the essays and opinions are thoughtful and thought-provoking, and really guide the reader to asking himself or herself exactly why they feel the way they do (good, bad or indifferent) about Clinton. The conversations that I, as well as the book's contributors, have had at events around the country, have been, shall we say, lively! We've tried not to get into major discussions about who supports Hillary Clinton vs. Bernie Sanders, but have tried to stay focused on the conversation about how we as voters form our opinions, as well as how the research around how many voters' need to find her "likable" impacts Clinton, as well as other candidates. I just wish I knew what she thinks about the book, since her campaign did reach out to me early on for a reader's copy. Or maybe I don't want to know! A: Trying to promote the book! I'm currently on a small book tour, meeting with book groups and some high school classes. I'm hoping for some more opportunities to talk about the ideas the book raises to get voters thinking more critically of all they think they know, not just of Hillary, but of all the candidates. I have an idea for another book - as my 10th grade daughter has reminded me after working on an anthology that next has to be "my own." I don't want to spill too many beans, but I am very drawn to the topic of women and power and leadership and how those dynamics and ideas will develop in the coming decades, especially as we seem to be a country that is drawn to dynasties. Don't worry - it won't be as dry as that sounds, and it will highlight some very interesting people. A: I thought that there wasn't much new to say about Hillary Clinton, but I was wrong. The women writers in LHLHN really dug deep to explore their ideas and have created 28 very nuanced essays on someone as iconic as Hillary Clinton. From pantsuits (though that essay is about a lot more than fashion) to perfection standards to unacknowledged privilege to whether we can "forgive" Hillary for not leaving Bill, and so much more. Even if these essays don't make the reader a Hillary fan, I hope they will help people think about her in a way where we stop thinking about her "likability" and focus more on her "ability." --Interview with Deborah Kalb. For a previous version of this Q&A, please click here. Joanne Cronrath Bamberger will be participating in the Bethesda Literary Festival, which runs from April 15-17, 2016, in Bethesda, Maryland.